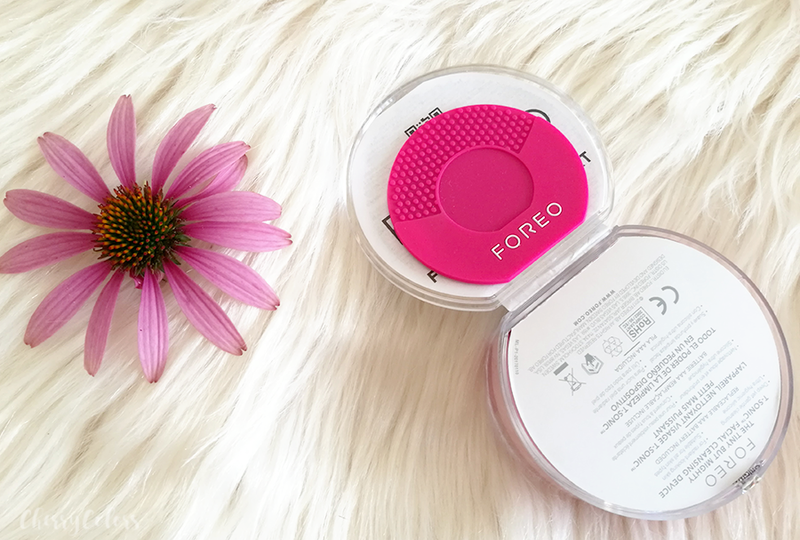 Foreo Luna Play PLUS - Cherry Colors - Cosmetics Heaven! 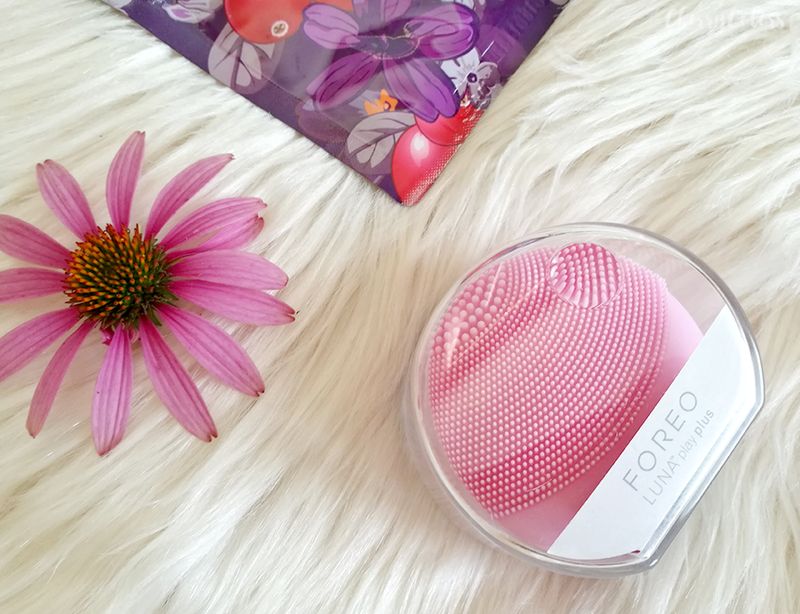 Today I'm here to talk about the Foreo Luna Play Plus. Why? Because while I was searching the net for a sustainable review I couldn't really find any. And so here I am, with hopefully more than just two sentences why you should or shouldn't buy this product. 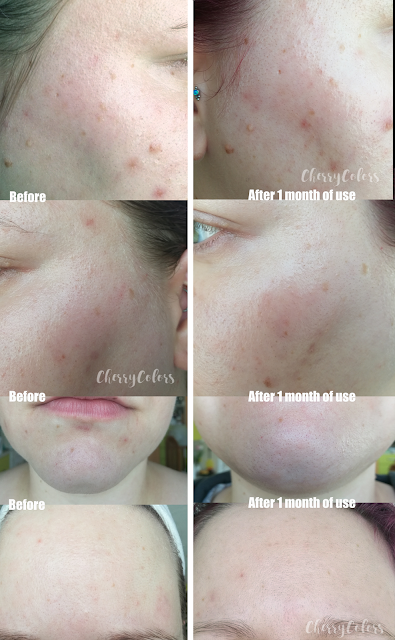 With a market that is so full of "fun devices" that promise amazing, radiant skin from the first use on ... I was looking for one that could actually keep the promises without making me broke. 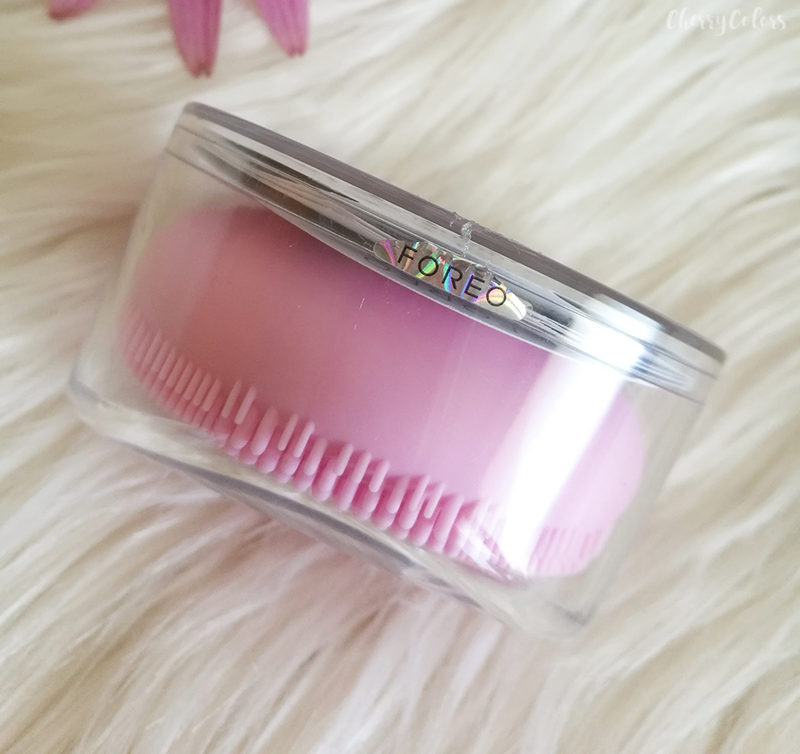 LUNA play plus takes everything you love about the tiny but mighty LUNA play and adds that little extra plus you need for a perfect complexion. It has a larger brush head for distributing T-Sonic™ cleansing power, plus it uses a replaceable AAA battery for near-endless use! This small handheld device is similar to the Luna Play one, except on this the batteries can be changed. No special tools needed - all you need is a screwdriver and an AAA battery. This version is also bigger than the Play version as that one was as big as a cotton pad. The Play Plus is as big as those huge cotton pads or as a hand palm. The Luna PLAY PLUS comes in a plastic case (and a box which was inside an envelope). The case is sturdy and I discarded it as soon as I got it. Longer, softer bristles for a gentle but effective cleansing. In the case you get the instructions and a small magnet with a scratch part - underneath it, there's a serial code that gives you bonuses on the website. From mine, I got 20€ off on my next purchase which is pretty neat! When you want cleansing that complements both your skin and your busy lifestyle, look no further than the cute and compact LUNA play plus! It fits in your purse, backpack or gym bag and uses AAA batteries for a 1 – minute cleansing routine you can indulge in any time! The instructions are simple - wash your face with water, add on it some cleansing balm/foam/whatever. Put your Luna under the tap water to wet it and then use it on your face to cleanse your skin. Why did I purchase it? 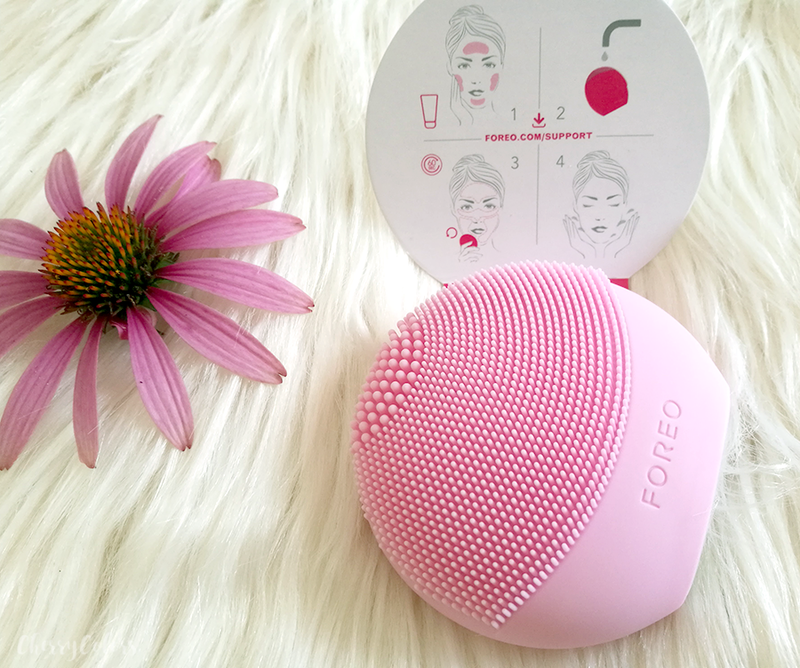 I remembered how clean my pores looked when I used the Clarisonic Mia 2 and I wanted the same look that I connected with the sonic pulsations it had. I didn't want to splurge and get a Mia because I already have a similar device (Oriflame Skin Pro). I just wanted the sonic pulsations to get all the extra gunk out of my pores. After one month of use, my pores aren't cleaner but there's a huge difference in the texture of my skin. Maybe the light acid cream I was using at the time did the trick? I was using COSRX BHA Blackhead Power Cream. My skin feels and looks smoother and I'm overall happier with the look of it. And yes, it has lots of imperfections but taking care of your skin is a marathon and not a short run. I enjoy this little device because it's easy to use (just press the button on the backside and it's ready) and because my skin got smoother. I was looking for something gentle enough but still powerful (with sonic pulsations) that wouldn't break my piggy bank. I think I found it and I am currently pretty happy with it. One of the main reasons was that I wanted to start with acids on my skin this winter and I wouldn't be able to use any harsh cleaning device. 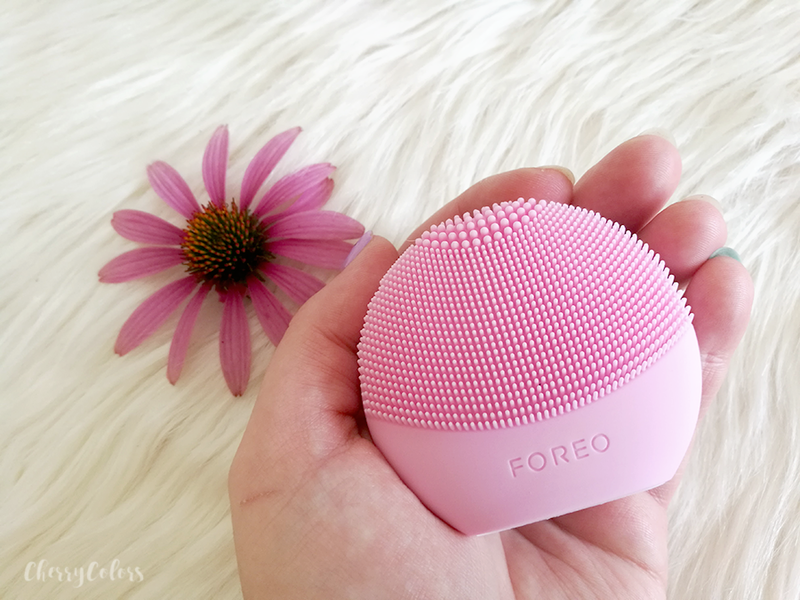 Luckily Foreo Luna Play PLUS is gentle and perfect for this occasion. Because it's so gentle I can easily use it daily (in the evening). The price is steep (50€) but that makes it still cheaper than any other cleaning device especially those with sonic pulsations. Sadly the device comes without a warranty which is well, bad especially since it is made in Europe. There are currently 7 colors of the Luna Play PLUS and all are beautiful - I had a very hard time deciding which color to get. But of course, pink is my jam so pink it is!